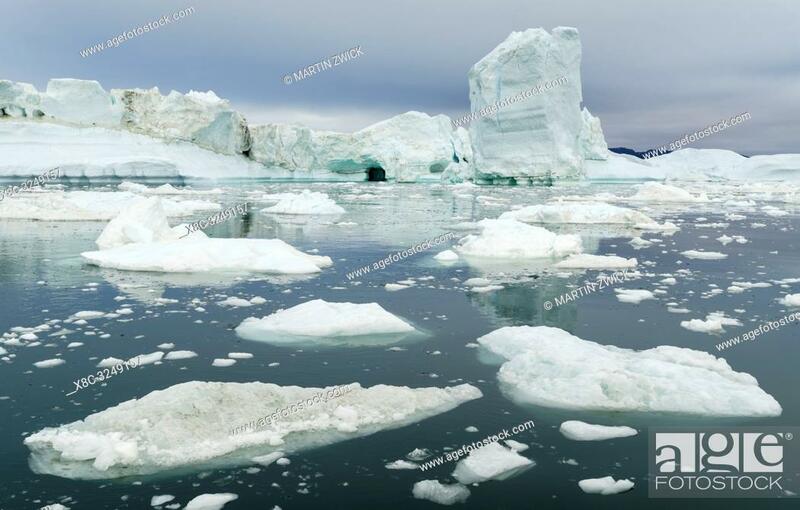 Foto de stock - Ilulissat Icefjord also called kangia or Ilulissat Kangerlua at Disko Bay. The icefjord is listed as UNESCO world heritage. America, North America, Greenland, Denmark.